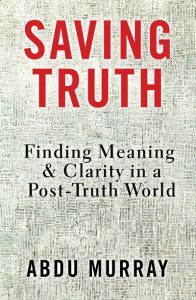 Saving Truth provides arguments from a Christian perspective for the foundations of truth and how those foundations apply to sexuality, identity, morality, and spirituality. For those enmeshed in the culture of confusion, the book offers a way to untangle oneself and find hope in the clarity that Christ offers. 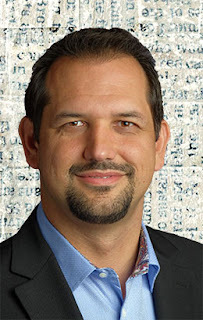 Abdu Murray is North American Director with Ravi Zacharias International Ministries and is the author of three books, including his latest, Saving Truth: Finding Meaning and Clarity in a Post-Truth World. For most of his life, Abdu was a proud Muslim who studied the Qur’an and Islam. After a nine year investigation into the historical, philosophical, and scientific underpinnings of the major world religions and views, Abdu discovered that the historic Christian faith can answer the questions of the mind and the longings of the heart. This book was so eye opening and held so much truth - Biblical truth. I have been looking around me at the world and seeing how things are turned upside down because people don't stand for any one truth. Mr. Murray shares how our society has become "post-truth" and it's become confusing for everyone. Personal truths are held above real truth and it creates confusion and fear for everyone. As I was reading this book while the Alfie Evan's tragedy was happening in the UK. This baby was sentenced to death because he had an illness that the doctors had deemed would not give him a quality of life. I was struck by how this book actually addressed issues like this that would have never happened when we were a society based on Biblical truths. Now, people can decide the fate of others based on a personal belief. This book really needs to be read by everyone! It has so much common sense because it is based on God's common sense. This book was so easy to read and I breezed through it. Although it was a serious subject, Mr. Murray writes in a way that draws you into the book and he doesn't talk above our heads. Excellent review. I hope that God blesses this book and many people read it.